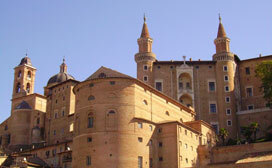 Urbino is a beautiful Renaissance town , perfectly preserved and listed as UNESCO World Heritage Site. The city is a concentrate of beautiful monuments , streets , landscapes and magical atmospheres. We suggest you visit the Palazzo Ducale (Duke's Palace) and then take a relaxing walk in the historical center , where you will also find the Art Gallery of the Marches and the house where painter Raphael was born. 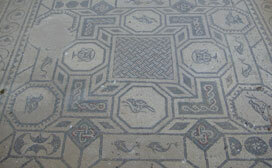 Just 4 km from Mondavio is the ancient Roman city of Suasa, with an interesting Archaeological Park, very well organized. The excavations carried out in the last two decades have made it possible to bring to light the remains of a large private house (domus), a large square (the ancient Forum), an amphitheater and a Republican domus. Pergola is located about 20 km from Mondavio. The town is surrounded by beautiful hills and is situated in the tranquility and beauty of the hills, part of the famous and much loved Marche landscape. 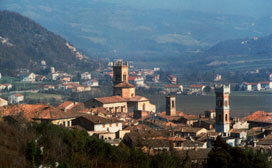 It attracts many visitors to its itineraries, rich in art , culture, nature , and delicious local products. Do not miss the Museo dei Bronzi Dorati, home to the only group of Gilded Bronze Roman sculptures in the world. 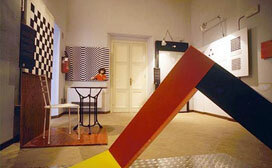 Balì" is a science interactive museum, which is housed in a stately eighteenth-century villa in the town of Saltara, 15 km from Mondavio. The interactive approach and the fascinating planetary make it interesting for children and young people, who find here a chance to have fun with subjects considered "difficult" such as physics and mathematics.